With all that in mind I’ve been looking to update my rusty C and C++ skills. I don’t write C/C++ code commercially anymore because the opportunities in Orlando are based around fairly ancient versions of the compiler. 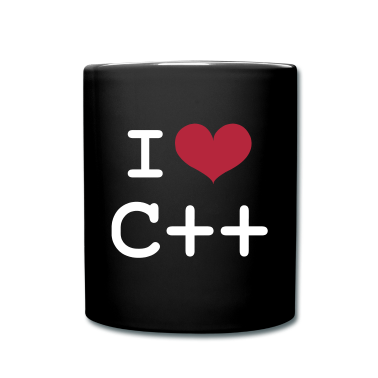 While I want to work with C++ 11 and C++ 14 as well as C11, too many projects are using RHEL 6 or earlier, or its equivalent CentOS 6 or earlier. RHEL 6 ships with gcc 4.4.7, which has no support for contemporary C or C++. This small application won’t compile with the latest Apple Xcode C++, but it will compile with Homebrew’s installed version. There comes a time in any programmer’s life when they write logging functions. Sometimes it’s little more than std::cout <<…, or sometimes it’s a full bore implementation along the lines of Boost.Log. Sometimes you want more than a print statement without the overhead of a Boost.Log implementation. What I’m about to list is that kind of logging function. It comes in just two files, a header and implementation, with a simple test file to try it out. ERROR,  // An error in the code itself. FATAL   // What is caused by a runtime exception. // Set Logger to an output stream. Default is std::cout. // Set the stream we want to log to. Default is std::cout. // Set the reporting level. Default is INFO. // The logging function. This is wrapped in the LOG macro below. // Generate a logger entry. Macros are evil, but this is a necessary evil. // it is properly configured and sane. // Check to see where logging output will go. Default is standard out. // the application, all logging will go to $HOME/foo.txt. // Failures to open are silent, and the default on failure is standard out. // Check what logging level to use. Default is IT::Logger::ERROR. // will be the logging output. Levels are INFO, ERROR, and FATAL. // by 'export ITLOGLEVEL=INFO' (if you want INFO level logging or higher). // The three levels are case insensitive (info is the same as INFO, etc). // Failures due to misspellings are silent. Default level is ERROR. // A LOG macro is wrapped around this specific function call. // The level is one of the three IT::Logger::Levels defined in the header. // The filename is the source file name in which this was invoked via the macro. // would expect to find when you open up the source file in a text editor. // The message is the explicit message written with the macro. // Logging is timestamped with the system's current local time. Include the header file in the source you want to add logging; see logtest above for examples on how to use it in code. See the notes in the code for details about the environmental variables ITLOGLEVEL and ITLOGFILE for simple tuning and controlling output. Compile and then use. I’ve tested this on RHEL 5 and Ubuntu 14.10, both with g++.